U.S. Department of Homeland Security officials, monitoring the Paris attacks, said Friday that there is no known credible threat against the United States. U.S. Secretary of State John Kerry is also monitoring the events in Paris and the U.S. Embassy in the French capital is working to account for any U.S. citizens involved, a State Department official said on Friday. Kerry is currently in Vienna, Austria, for international talks on ways to end the war in Syria. In addition, President Barack Obama called the attacks in Paris “heartbreaking,” adding that the U.S. stands together with France in the fight against terrorism. 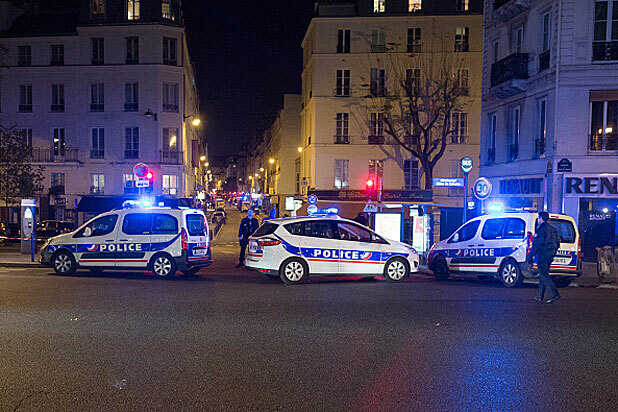 At least 100 people are dead dead following a series of what appear to be coordinated attacks across Paris late Friday, according to French police. The situation on the ground is still developing, but multiple media outlets are reporting three explosions took place near France’s main sports stadium, which prompted the evacuation of French president Francois Hollande during a soccer match between France and Germany. Obama stressed that his office did not yet know all the details of the attacks, so the U.S. would not speculate who may have been behind the attack, adding he’s been in contact with French officials to communicate condolences to the families of those killed and the U.S. have offered full support to them. He called on his nation to “show unity” as he announced a state of emergency, closing the country’s borders to keep the perpetrators from escaping.